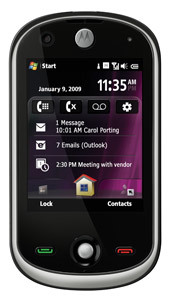 CES 2008 - Today at the 2008 edition of CES in Las Vegas, Motorola introduced a series of new handsets, the most important being the MOTOSURF A3100 touchscreen smartphone. Looks like Motorola is really trying to jump on the full touchscreen bandwagon everybody has been riding on since the launch of the iPhone. Let's see if this one will impress. Software-wise, the A3100 is powered by Windows Mobile 6.1 Professional with a customizable home screen, which includes easy to access applications, like an auto-updated RSS reader. 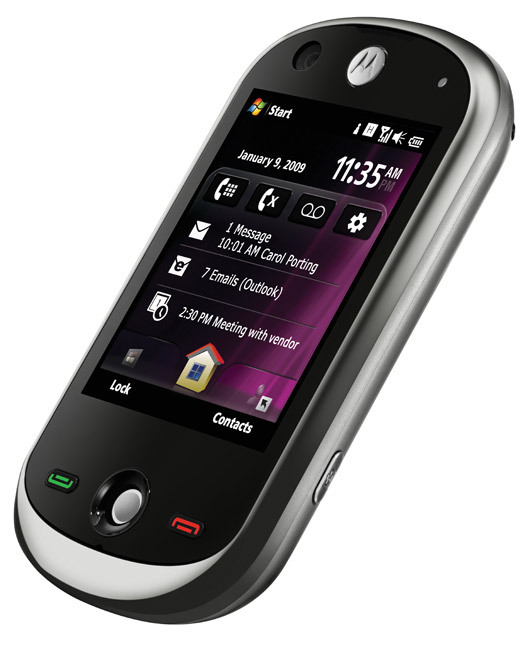 The MOTOSURF A3100 comes equipped with quad-band GSM and tri-band UMTS, a 3 megapixel camera with autofocus, HSPA, WiFi, Bluetooth 2.0 with A2DP for stereo Bluetooth headphones, trackball navigation, microSD card slot for extra memory. The Motorola MOTOSURF A3100 smartphone is expected to launch in the first quarter of this year in Asia for now, with other countries to come in the future. As for the pricing, nothing has been announced. Have you read the article? it's launching in Asia first, then the rest of the world. Hopefully it will hit the US soon! Why do you say this is a touchscreen smartphone? 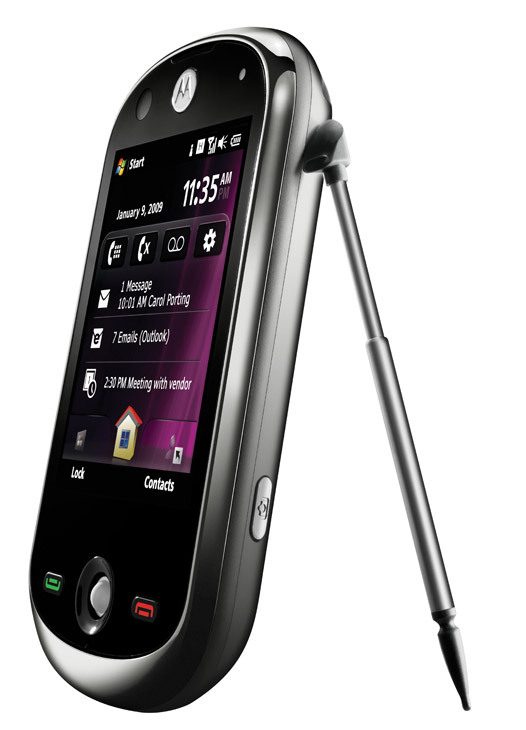 From the pictures it uses a stylus and trackball navigation. To me touchscreen means you use your finger. You can use your finger. If that doesn't work, you can use the stylus. If you lose that, you'll still have the trackball.